Because the classic writings on the Qabala have been expressed primarily in the terminology of the Western Mystery Tradition or in terms of the ceremonial magician, its usefulness as a tool for the Craft has been overlooked. 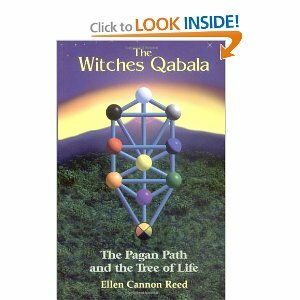 With this book, Ellen Cannon Reed, a High Priestess of the Isian tradition, brings the symbolism of the Qabala into a new light so pagans can see its value and use it to enhance the Great Work. Reed explains the Tree of Life, the primary symbol used to represent the universal energies as “revealed” by the Qabala, and how its spheres and paths correspond to elements in the pagan tradition. Teachers can use the Qabala to understand the growth of students and their problems, using the Vices and Virtues to recognize stages of growth. Reed also provides exercises, meditations, and encouragement to students who are studying without a teacher. She discusses the Qabala as it appears in everyday life, which spheres of the Tree of Life to use for specific workings, and details two rituals using the Tree: a Dedication to the Journey, and the Rite of mending Love. Reed’s command of the material allows teachers and students alike to gain powerful insight into their own search for spirituality. This entry was posted in Boekenkast by Serotia. Bookmark the permalink.